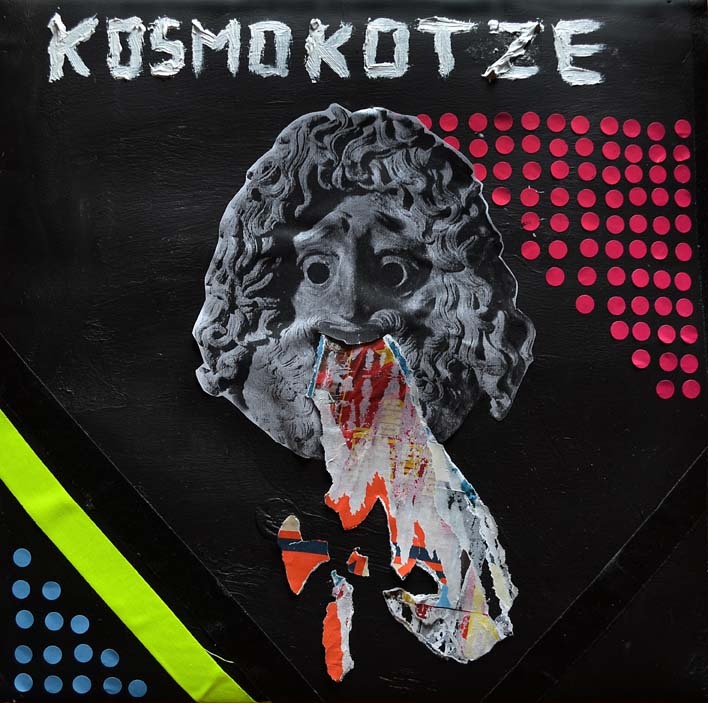 after the already sold out kosmokotze on tape, here is his first 12inch vinyl debut release. kosmokotze once more delivered some purely analog electronics with this six tracker. first track “stechuhr” (timeclock) is a collaboration with istari lasterfahrer, who forged the original pinged filter sequences with some hyper house beats. “eigenstrukturanalyse” (not there) is a short abstract selfgenerated patch that flips between different time bases. “mittelmeer” (Mediterranean) drifts as a minimal drones piece based on tape echo feedbacks and rare small melodies. flipside basis of the track “unbezahlte überschriften” (unpayed headlines) is a 44 step sequences that drives a constant morphing pattern into lucid dreaming. “nicht dort” (not there) is another short electronic piece with a chaotic selfgenerating patch and the last track “als befreiende moment” (as a liberating moment) based on the same modular synth patch as “unbezahlte überschriften” but with other parameters set to the voices and tempi, it bangs happy around just to freeze up after a couple of moments into slow morphing sculpture of itself. limited to 150 copies. total playtime around 30 minutes, record comes in full color printed cardboard sleave and download code, which include the tracks of kosmokotzes first tape “blau auf gelb das muss nicht sein”. This is a 12inch, Products Artist kosmokotze. Bookmark the permalink.